You are here: Home / Other / How to Clear Search History? 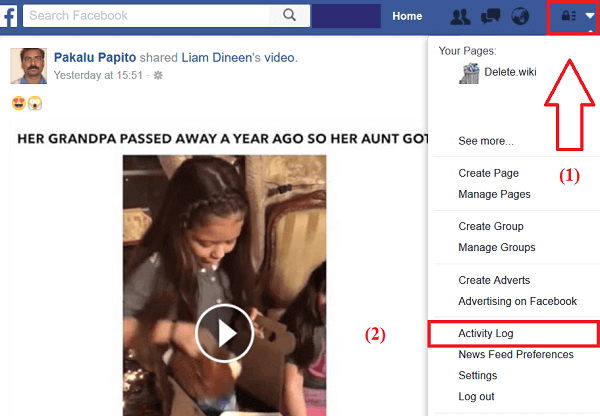 You can clear search history from Google account, YouTube, Facebook, or any other social media. Every time you search for something or someone in an Internet Browser or social networking sites/Applications, it gets stored in the search history. It is useful sometimes because it lets you keep a record of what you searched and can promptly get access to the thing again. But if you share your device with another person, search history record might hamper your privacy. Search history lets other people know whom/what you’ve searched for. This discloses your interest to the persons with whom you share your device. If you don’t want anyone to know what kind of person you are and what field of interest you possess, you got to delete what/whom you searched for in various browsers, Social Networking sites, Messaging apps like Viber, WhatsApp, etc. We will tell you how can you delete search history from most popular browsers and applications that you frequently use in your daily life. Browse google.com in any of your favorite internet browsers. This will directly take you to your account on Google if you are already signed in. If you are not signed in, you have to sign in to your Google account whose search history you want to delete. To sign in click on “Sign in” tab in the top right corner of the page. Then enter your Gmail ID > Click on next > enter the password associated with it and click on sign in. To go to my Account click on the profile icon at the top right of the page. From among the options click on My Account. At the last of the My Account page click on “Go To My Activity”. My Activity page contains all the activities you have performed on your Google account, including the sites you have visited, things you have searched for, etc. 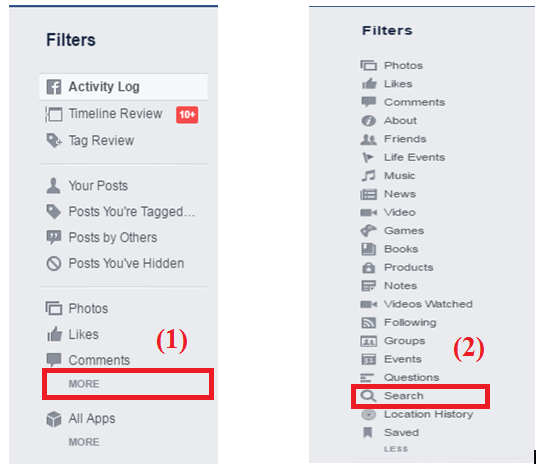 Click on “Filter by Date & product” option. 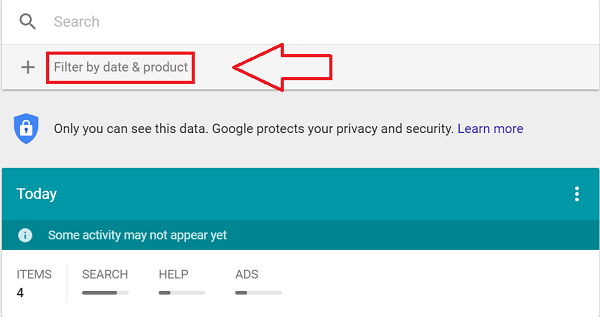 Click on “All time” under Filter by date and “Search” under Filter by Google product, then click on Search icon at the top. It will display all the search you have made since the beginning. Click on menu option (Three vertically arranged dots) and click on “Delete Result” from among the drop-down menu. 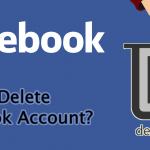 Confirm your choice by clicking on Delete and all your search history will be deleted. YouTube search history are useful mainly in two ways, 1st you can find any video that you can’t remember but have previously searched in YouTube, and 2nd YouTube search history make a recommendation based on your search and watch history. If you delete your search history, you can find a significant difference in your homepage recommendations. If you still want to delete YouTube search history just follow the simple steps mentioned below. 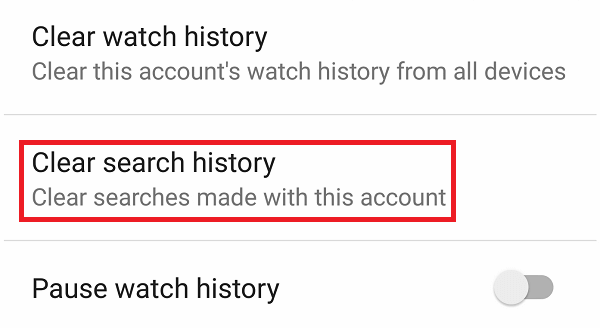 YouTube search history is also saved in your Google activities that you can delete by following the procedures mentioned in the above article about Clear search history from Google Account. Go to the list of applications and tap on YouTube icon. You will be directed to the YouTube homepage. At the top right of the YouTube homepage tap on the menu icon (Three vertically arranged dots). Under the drop-down options tap on “Settings”. It is the 1st option you see once you tap on the menu icon. You will now be moved to the settings page. Under various app in the settings page tap on “Privacy”. Tap on “Clear search history”. Confirm your choice by tapping on “OK” and your search history will be cleared. Open YouTube application on your smartphone. Tap on search icon at the top of your YouTube homepage. You will see the list of the searches you have made. Tap and hold on the search item you want to delete. You will be provided with the option to remove search history. Tap on “REMOVE”, and you won’t see that search item in your search history any longer. Open YouTube.com? in any Internet Browser you prefer. If you are not signed in, click on sign in at the top right of the page and enter username and password. 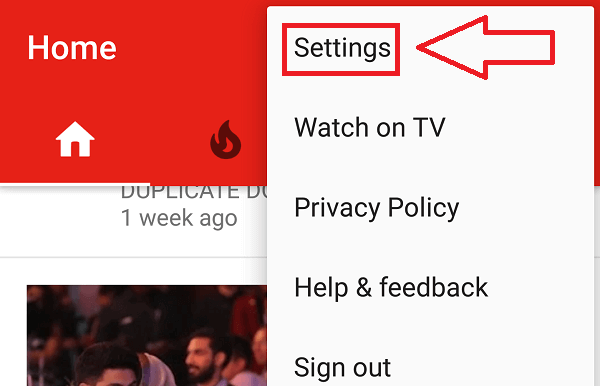 You will see the list of options just below the YouTube logo towards the left side of the screen. Among the options click on “History”. You will see two tabs: Watch history and Search history. Click on Search History. All the searches you have made will be listed. If you prefer to delete individual history, then click on cross towards the right end of every search item. To remove entire search history click on clear all search history at the top of the page. Go to? Facebook.com using any Internet Browser you prefer. If you are not logged in, enter your email or mobile number, and password associated with the account then click login the tab at the top right corner of the page. 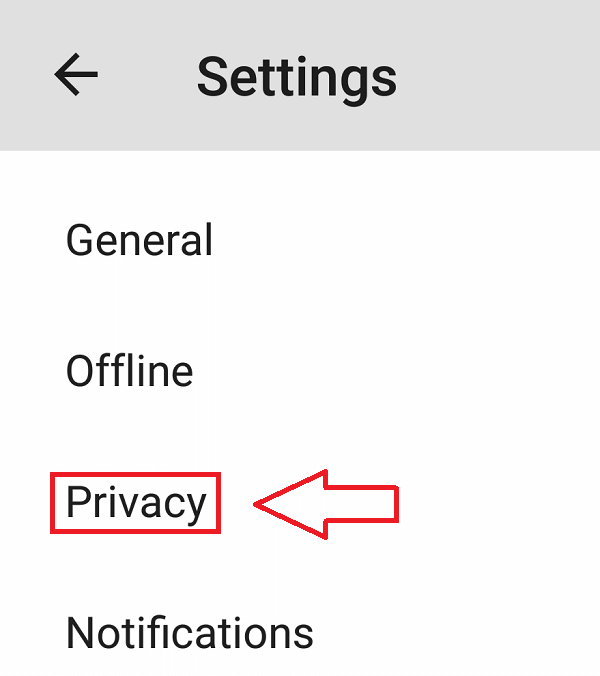 Click on the menu option (Small reverse triangle) on the top right corner of the page just by the side of privacy shortcut icon. A drop-down list will appear, from among the options in the list click on activity log option. Towards the left panel of the Activity log page, you will see Filters. Under the filter click on “More” option just below the “Comments”. Additional filters will appear. Among them click on “search” option. The list of all the search will appear. Click on search panel at the top of the page. A dropdown list of the recent search you have made will appear. Click on Edit option just below the search icon. 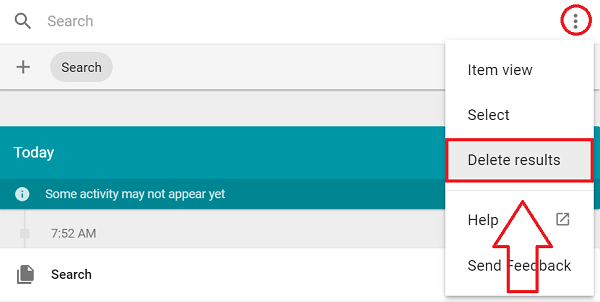 If you want to delete a particular search item, click on the small circle at the right of the search item and click on delete. If you want to remove the entire searches, click on “Clear Searches” option at the top right of the search page. Tap on the search panel at the top of the page. A drop-down list containing all the searches you made will appear. Tap on “Edit” option just below the search panel. You will be directed to the Activity log page. If you want to delete individual search item, then tap on the cross icon on the right of the particular search item and tap on “Remove” to confirm your choice. If you want to delete entire search history, then tap on “Clear Searches” option just below the Filter. Tap on “Confirm” and all your search history will be erased. Open the Instagram application on your smartphone. Go to your profile. To go to the profile click on profile icon at the bottom right corner of the page. In the profile page tap on the settings icon. In Android and Windows, phone settings icon is the three vertically arranged dots, whereas in Apple phone it is the gear icon. A drop-down menu will appear. From among the menu tap on “Clear Search History” that lies toward the last of the menu. Confirm your choice and all your Instagram search will be erased. Again tap on the search panel on the top of the screen. You will see a list of all the searches you have made. Tap and hold the particular search item you don’t want to see. A confirmation screen will appear, tap on ‘Hide’, and the search item will no longer appear on your search drop-down list.